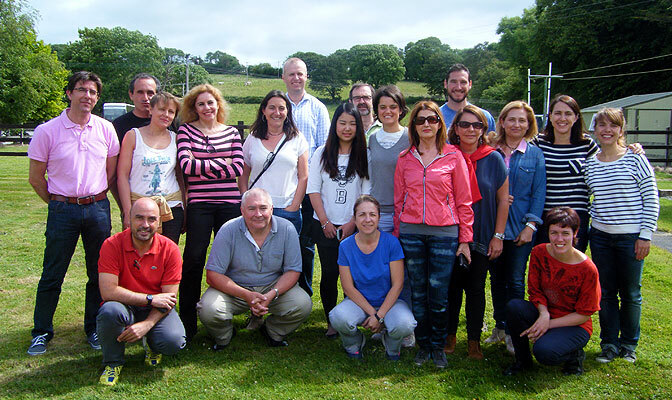 The school is a family run school next to Killarney National Park, set in the most magnificent location in Ireland. 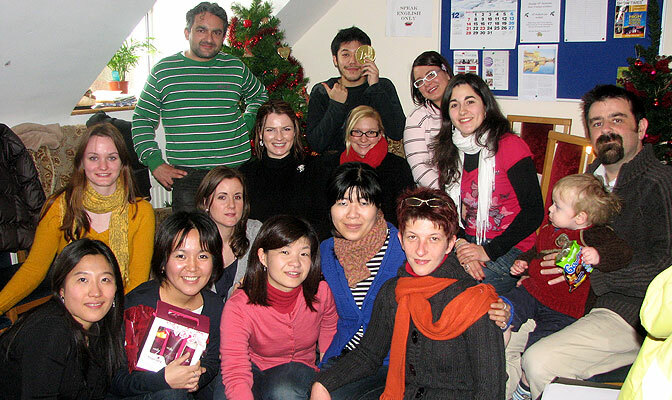 We have English courses for adults (18 +), teenagers (13-17) and small children (3-12). 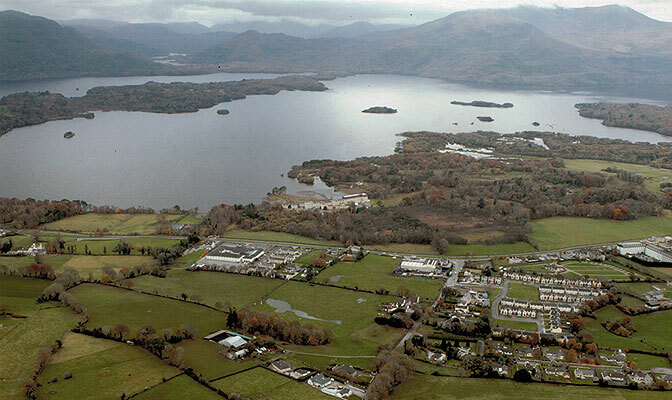 Adult English classes are held in the main school building (see picture opposite) at the entrance to Killarney National Park. Children’s classes are held in the ‘Kidzone’ behind the school on the same site. 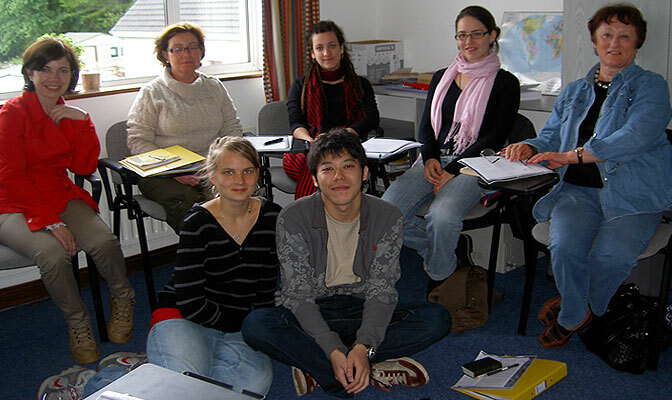 Teenage English classes are held at our teenage school in Lisivigeen. Killarney is safe, secure and beautiful. 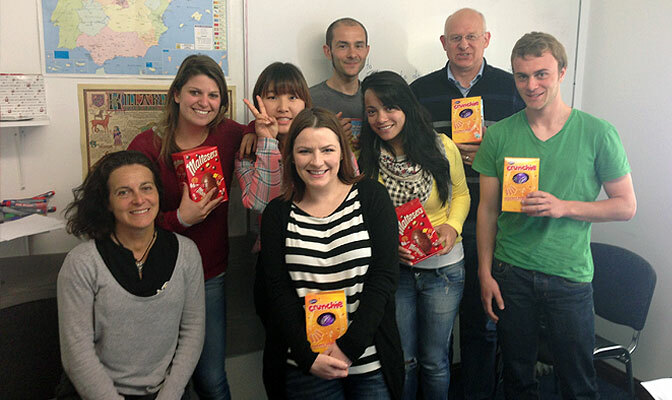 We hope to teach you the English you need for your life. 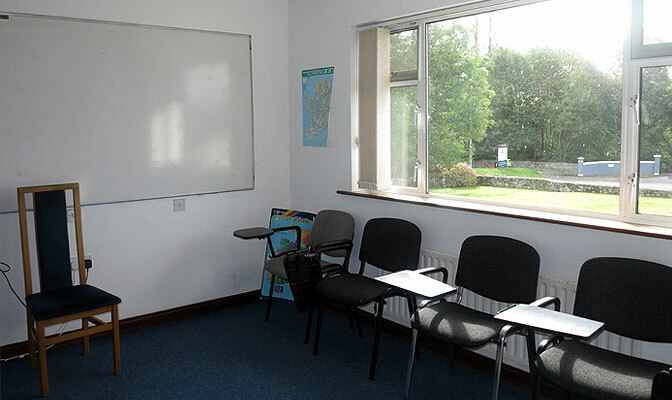 We have five classrooms for adults, five classrooms for children age 3-12 and at a separate location 10 classrooms for teenagers. There is Wi-Fi throughout the school. 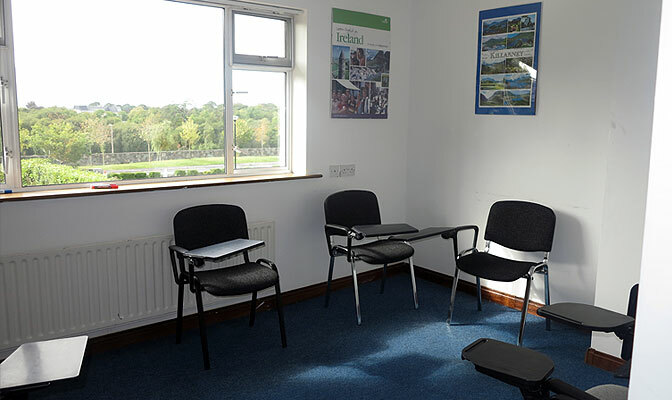 There is a common room on the top floor with a coffee machine where you can relax and meet other students. There is a fridge and a microwave also. There are picnic tables in an eating area at the back of the school to have your lunch if the weather is nice! Please see an Ariel view of our school. What is the Capacity of the School? 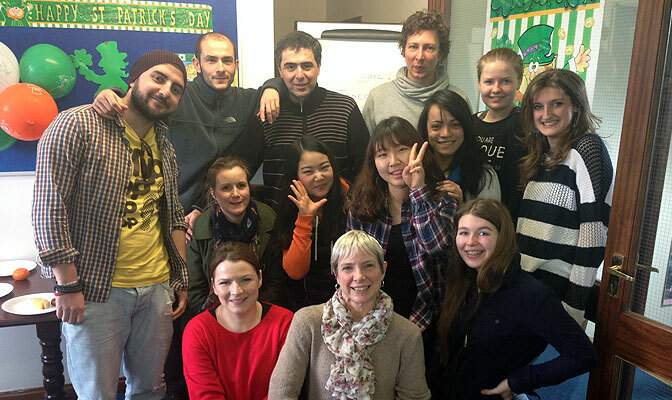 The maximum capacity of our adult school is 40 students. If this gets fully booked then students are located at our other school in Lisivigeen, Killarney. 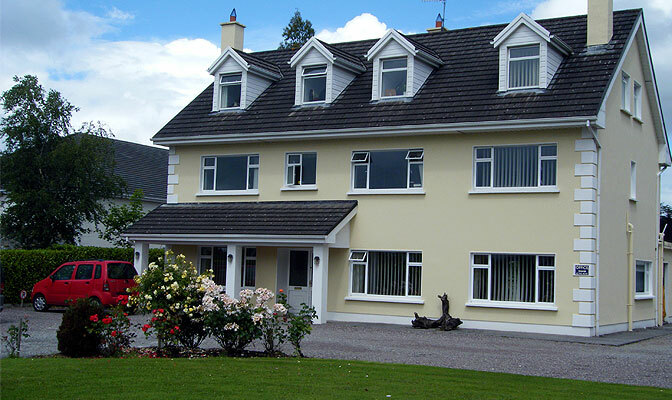 Lisivigeen is a 5 minutes drive from the main school on the Muckross Road. Please click on the thumbs for larger images.